Shhh!!! There’s blood suckers out here!! Mosquitos!. By the time we hear them, it’s already too late – we’re lunch! But could THEY be the ones to hear US coming first? Meet Ron Hoy and Gil Menda, of Cornell University. They study how insects communicate. Knowing that bugs don’t respond to our pleas, they wondered: How well can mosquitoes hear? So, they put the pests to the test! Mosquitoes were placed in a sound-proof room and left there to get used to their surroundings. Then, Ooh-laa-laa!, the sounds of potential mates were played. The mosquitoes responded to the sounds of mates up to ten feet away! But that wasn’t all. 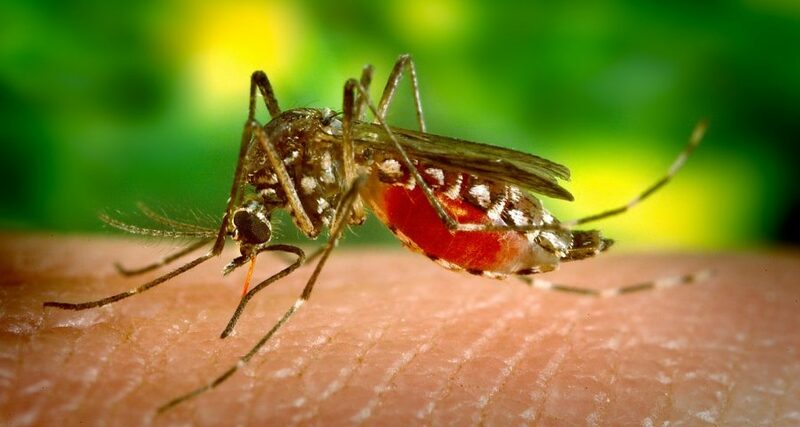 A tiny sensor was placed on a lucky mosquito’s antenna. Now the researchers could measure the bug’s hearing when testing different sounds. The results? Depending on the sound, mosquitoes can actually hear up to THIRTY feet away! This squishes the old assumption that insect ears are for close listening only. And yes, the results also show that they can hear our voices too, so: Shhh!! Or…shoo! !